In June of 1970 all of Brazil went out to celebrate in the streets. The seleção won its third championship. Pelé, Jairzinho, Gerson and Tostão were not only playing well, they were playing beautiful and it helped that for the first time the World Cup was broadcasted live and in color. The images of Carlos Alberto scoring the fourth goal against Italy in the final or Tostão scoring twice the day I was born (4×2 against Peru) were inscribed forever in everybody’s memory and are repeated ad nauseum by the Brazilian tv in the last 40 years. However, the late 1960s and early 1970s in Brazil are not much cause of celebration. A brutal military dictatorship governed the country and its repression machine killed hundreds and tortured thousands (including current president Dilma Rousseff). That same government thought of “solving” the favela’s problem by relocating all its inhabitants to the outmost periphery of the cities. 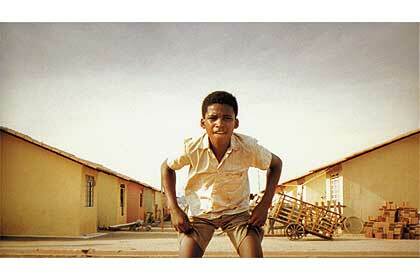 The most famous of all relocations, made famous by the homonymous movie of 2002 is Cidade de Deus. Designed during Carlos Lacerda government in Rio (1960-1965) Cidade de Deus was partially financed by the church (therefore the name) as well as Vila Kennedy was partially financed by USAID. In the late 1960s thousands of people were relocated from places such as Praia do Pinto that had high real estate value as well as from areas prone to flooding. As the movie show very well Cidade de Deus was an endless series of small houses on dirt roads when people start moving (or being forcibly moved) there. Without jobs, without infrastructure, without transportation the place went from bad to worse (and the movie shows that very well). The economic miracle that made the Brazilian economy grow 10% a year in the first half of the 1970s never reached Cidade de Deus. Instead, it fueled the drug business that found in Cidade de Deus the perfect site for its entreprises. Futebol was said to be the people’s opium. The military explored it very well although Brazil would not win another championship for 24 years, a decade after the return of the civilian power. The opium by then was quite literally identified with the favelas.